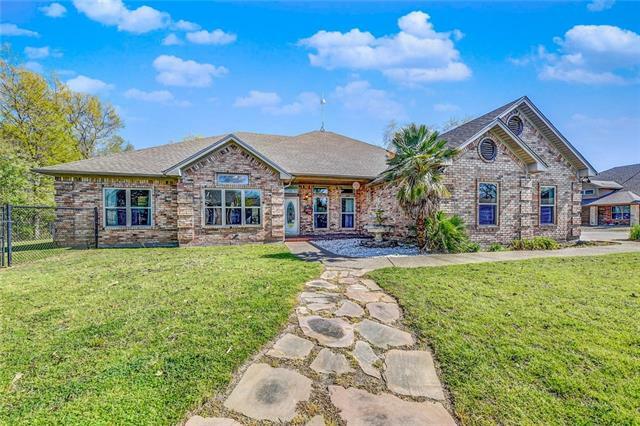 All Quinlan homes currently listed for sale in Quinlan as of 04/22/2019 are shown below. You can change the search criteria at any time by pressing the 'Change Search' button below. If you have any questions or you would like more information about any Quinlan homes for sale or other Quinlan real estate, please contact us and one of our knowledgeable Quinlan REALTORS® would be pleased to assist you. "PRIVATE 5 ACRE LAKE behind custom home with towering oak trees and sandy soil. Well maintained home has tall ceilings and windows to enjoy the lake views. Live like your on vacation grilling outdoors with campfires and fishing for Bass. 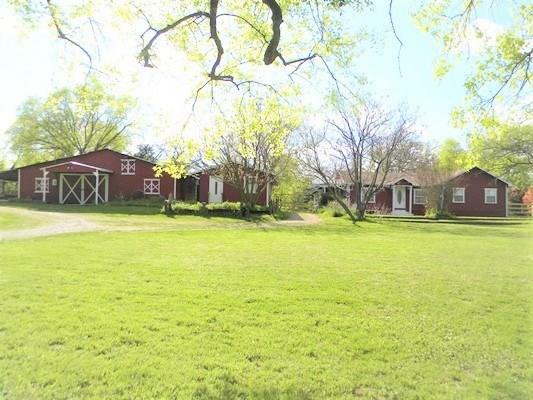 Enjoy a 55 x 60 Barn with center aisle, 4 nice horse stalls, bathroom, carpenters workshop, living space in a nice setting. Pastures produce hay and there are 2 additional ponds on right. 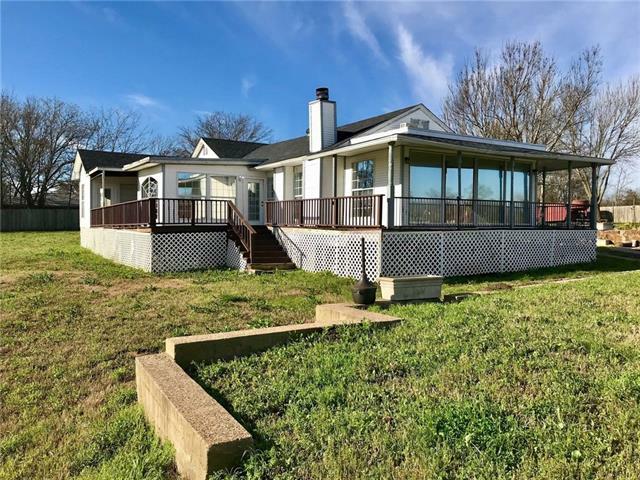 Additional partial parcel I.d.26725 added to include more acreage and not i"
"Stunning French Country Estate nestled among stoic Oak Trees creating a sense of Tranquility from the moment you arrive. 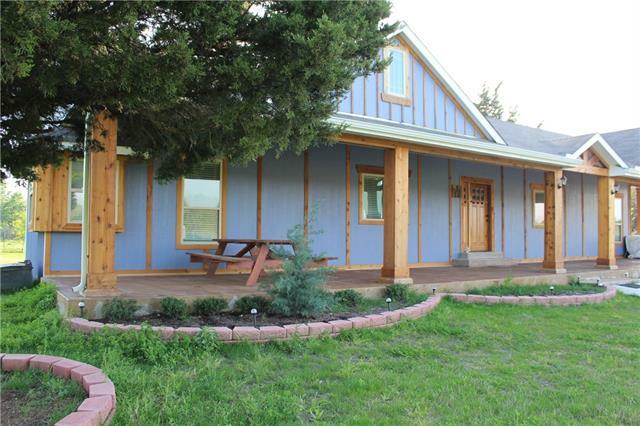 This beautiful Ranch can not be duplicated, features a large stocked pond, 95X95 organic garden, 1000 sq ft chicken coop, 24X48 shop with elec., metal Barn with elec. with 4 stalls, and greenhouse. 2nd Home: 1848 sq ft Manufactured Home included that features 3 bed 2 bath 2 car garage in great condition w 10X12 storage. The main home features a large kitchen with built in frig"
"Serenity is the setting of this lovely farm house that awaits you at the end of this private, gated drive. Sip your coffee or wine while relaxing on your full length, covered front porch. Enjoy beautiful views of meadow, front acreage and scattered trees in back yard off your custom deck w awning. 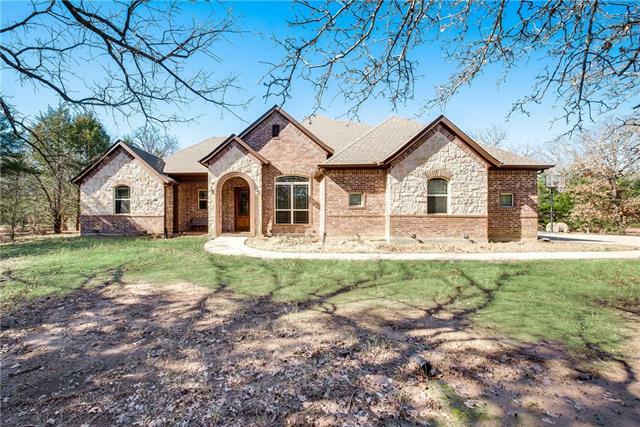 This 3,292' +- home offers spacious, huge rooms throughout entire home, large WI closets, master suite downstairs, +- 25X19 Bonus room upstairs, 18X10 formal dining off 20X17 kitchen which overlooks 2"
"Gated property with private drive and mature trees take you to this spacious home nestled in approximately 7 acres of wooded paradise. This custom home is well maintained and includes an eat in kitchen complete with gas range, granite counter tops, and abundant storage cabinets. All bedrooms are equipped with a door that opens to the wrap around screened patio to enjoy views and wood burning fireplace. Spacious master bedroom suite has double sink vanity, separate shower, soaking tub and a over "
"Unique property that has been updated beautifully. 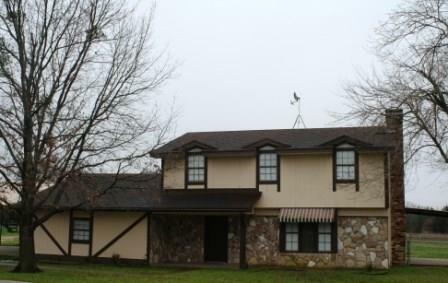 Sits on 2 acres with 4 beds, 3 full baths, & 1 powder bath. Features a walk out basement with an additional living area & the master suite. Gorgeous flooring thru-out the home & freshly painted walls to lighten up the house. Plus, it also includes surround sound thru out the home. New 30x30 workshop with electric. Covered back patio to overlook the pool & enjoy the wooded scenery. Also, an outdoor kitchen perfect for entertaining!" "This is your rare opportunity to live lakefront in desirable Hideaway Estates. This distinctive, meticulously-maintained home has never been a full-time residence. It sits on one landscaped and newly-fenced & gated acre plus its own two acres of SRA leased waterfront ($75 per year). 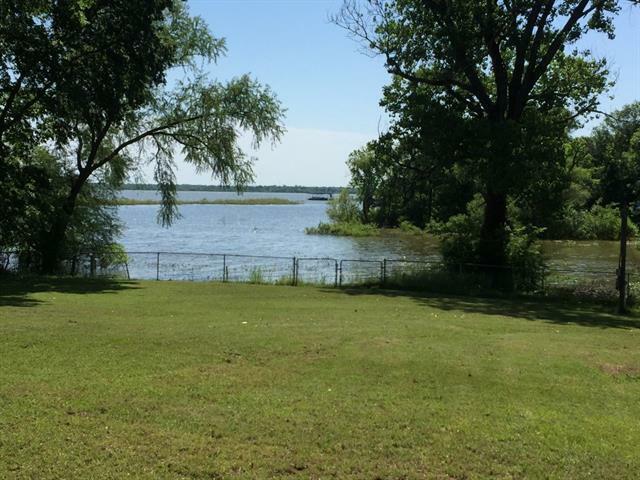 The property is heavily treed but trimmed to allow a great view of the lake. Enjoy life at the lake on the dock or from the huge covered patio. Entertain in the multiple open living and dining spaces. The stately off"
"You can Have It ALL in this Private & Secluded Water Front Home on 1.63Ac*Highly Desired Area! *Boat Dock-1 slip, 2 Jet Ski Docks*Lg Cov'd Back Porch-Views of Lake & Pool*Stone Patio w Steps to Fire Pit-Pergola*BBQ Shed*Ample Room for Entertaining*2 Living Areas-Vaulted Ceilings, Beams, Wet Bar, See Through Stone Gas Log Fireplace*Stylish Open Living Area*Quality Kitchen you will Appreciate-Gas Thermadore Range & Vent Hood-Dbl Ovens, 6 Burners & Griddle, Bkfast Bar to Seat 6*2 Dining Areas*Master"
"The Lake House YOU have been waiting for. 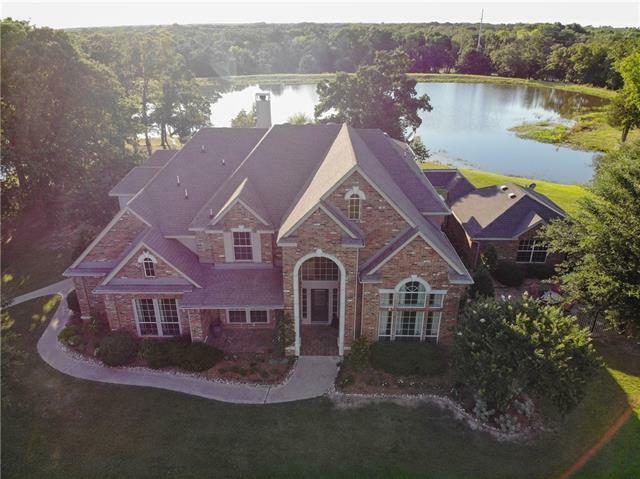 This stunning home features 3 bedrooms, 2 and 1 half bathrooms, 3 car garage, spacious living room w beamed cathedral ceilings and stunning lake views, sunroom, spacious kit w tons of cabinets island and granite counter tops. Wake up to lake views in the spacious master suite which features dual WIC, dual vanities, and a massive walk-in shower. 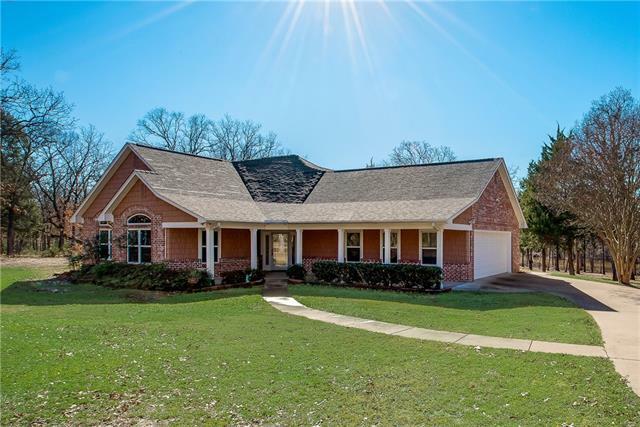 Outside features: Play pool w a spa, fenced in yard, 24X40 shop, pier with boat lift and a lake fed sprinkler s"
"Gorgeous custom brick home in the woods on 11.77+- acres! Home features open floor plan with kitchen overlooking large dining and large living room with fireplace. Kitchen features large breakfast bar, granite counters, copper farmhouse sink with motion water faucet, gas cook top with pot filler faucet, & large walk in pantry. 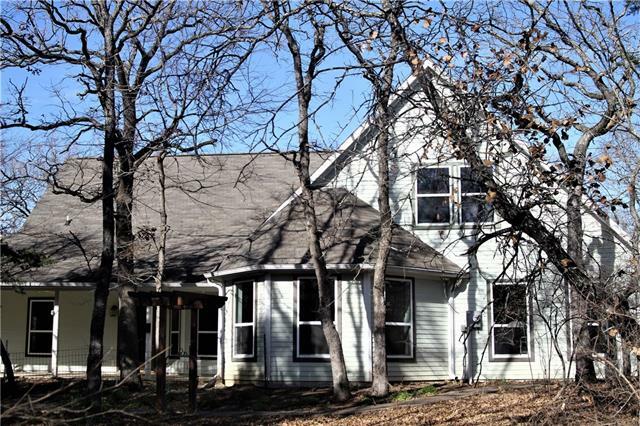 Split bedrooms with master suite overlooking wooded acres. Utility room offers additional large closet. Two tankless water heaters. 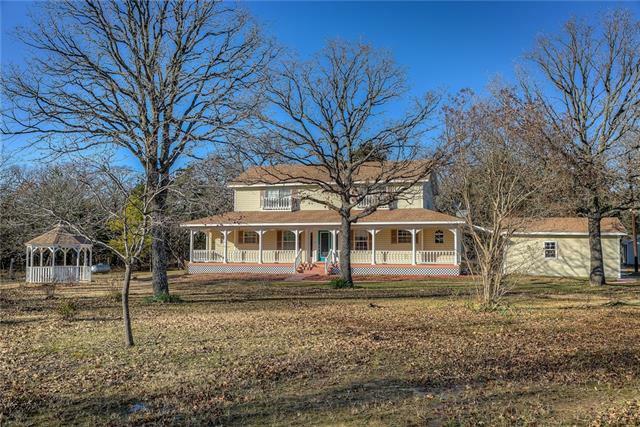 Wired for alarm & cameras and USB port"
"Meticulously maintained 3-2 brick stunner on 3.3+ acres; just 45 minutes from Dallas! Conveniently located near fast-growing Royse City and Rockwall. The attention to detail and incredible setting make this the perfect environment for entertaining guests. Abundance of mature trees and wildlife. Lots of planning and love went into this home, and it shows. Custom features include...hardwood floors, elevated ceilings throughout, fully updated kitchen, formal dining & breakfast area, bay windows, de"
"Beautiful custom-built lakefront home on wooded lot. 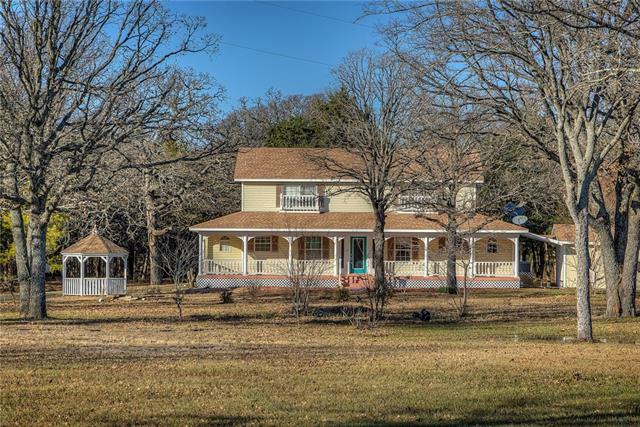 Amazing 3 bedroom, 2.5 bathroom on 2.35 acres, plus 2.4 leaseback acres. The home is tucked away in a secluded neighborhood, nestled among nature & native trees. Custom cabinetry thru-out offering tons of storage in this well built home with radiant barrier. Island kitchen features double ovens, breakfast bar & eat-in area. Large master suite & walk-in shower, his & her sinks & closets. 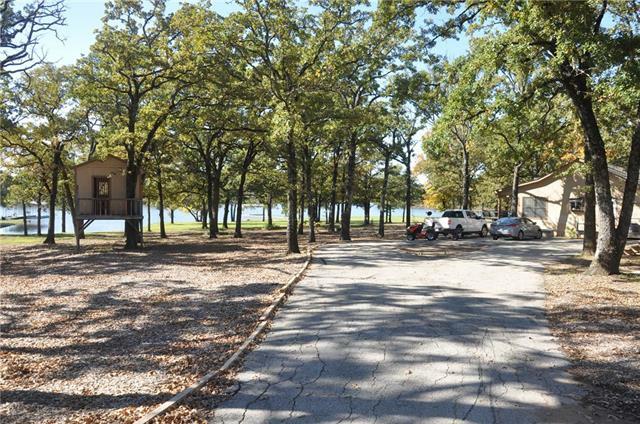 Private HOA Park with a pier, boat ramp & covered picnic "
"Welcome Home! 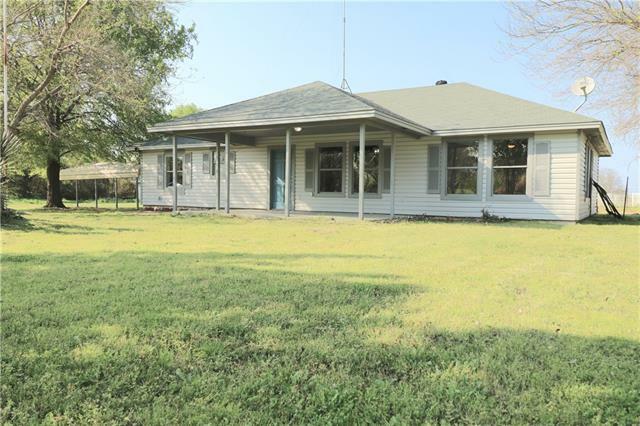 Peaceful country setting outside city limits, no HOA, no known restrictions. Elegant foyer leads to formal dining & to huge kitchen. The kitchen offers granite counters, SS appliances, and is completely open to the inviting great room with floor to ceiling stone & brick fireplace, vaulted ceilings and wall of windows overlooking the covered outdoor patio area. Over sized master bedroom with large walk in closet, jetted tub, separate vanities & shower. The extended patio offers a c"
"Park Like Immaculate Hilltop Charmer! 3-2-2cpt on 4.25+-acres out in the country on paved roads. 30x40 steel ware hse-walk thru door- two 12 ft bay doors & 18ft ceiling in the middle, 40x44 barn & 11x44 covered lean to, attch 25x44 cpt, 15x20 green house with elec.-wtr, 18x20 game room with18x20 covered deck & waterfall, covered wrapped porch, pond, rolling land, open kitchen & living, kitchen has tons of storage w-granite counter tops & island with granite-with breakfast bar-storage below, dini"
"Beautiful waterfront property. This is a house on the lake. Must See!! Roof replacement in April 2018. Boat dock and lift, fishing and camping area. Perfect for large family or weekend all inclusive getaway, perfect for entertaining. Home has all neutral colors, C-Tile and Berber in bedrooms. Master bedroom suite features a wood burning fireplace, large private bath and opens to your covered patio with a great view of lake. Manicured lawn, lake fed sprinkler system. 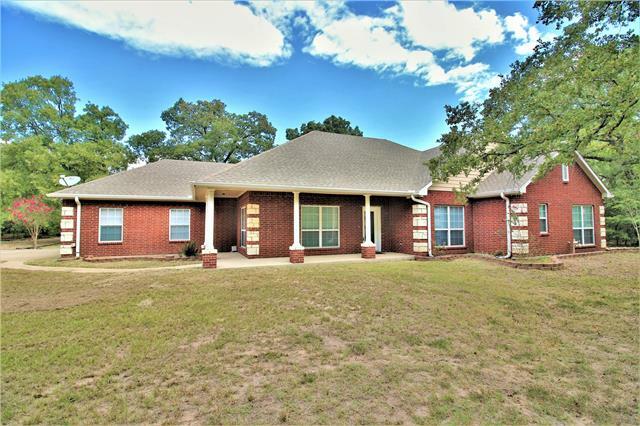 Cover boat s"
"3-2-2 Brick Home, 9 CP's on 5 acres in sought after Lone Oak ISD! 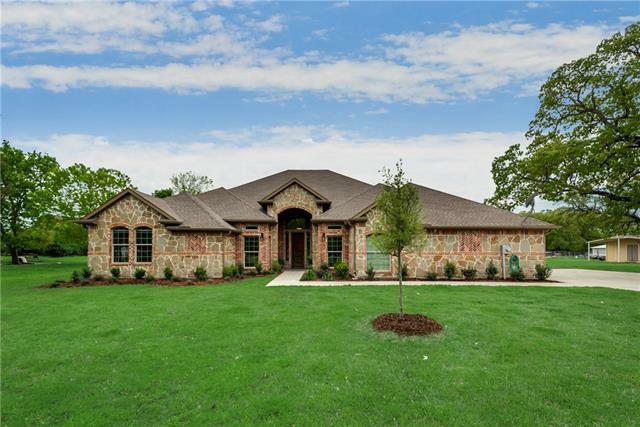 Home features vaulted ceilings throughout, split floor plan, WBFP in the Liv Rm and in the Master Bedroom, 40x12 covered patio, 16x20 shed, crepe myrtles and pecan trees and so much more! The office could easily be used as a 4th bedroom or nursery. 2 car bricked garage with attached 3 car carport with several other carports to store many more toys or tractors. 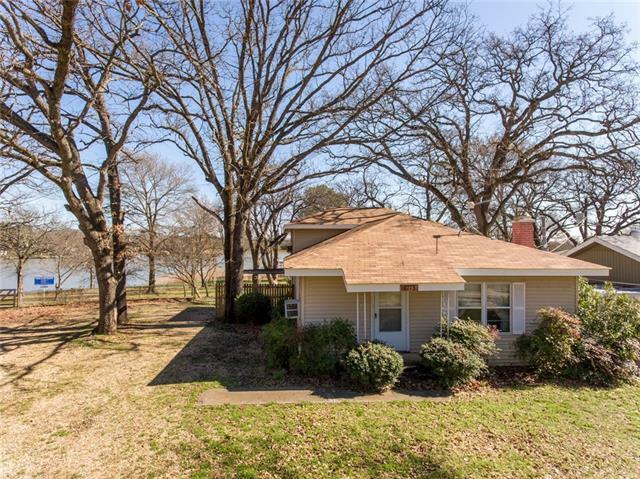 With a little TLC, this home will make someone a beautiful home for "
"Lake house on Tawakoni Lake. Very pretty views from house. about a half acre or so are Sabine river property that you lease by the year. 255.58 feet of lake frontage.the leaseback fee this year was $54 for the year. Very shady with a lot of oak trees. This 2.5 acres plus the leaseback property is a great place for family. Living area with fireplace and great view of lake. Master bedroom also has the great view of the lake. Work shop and carport. The work shop with electricity is 24x36 and the ca"
"Beautiful home just 14 miles from Tanger Outlet Center. This manufactured home is sitting on 10 acres of land and offers 2 bedrooms, 2 full baths, granite kitchen countertops, an island, built in microwave, stove, stainless steal refrigerator, an office space and a utility room. The roof, HVAC, and appliances are all one year old. This property is a must see but bring your family and luggage because you will not want to leave!" 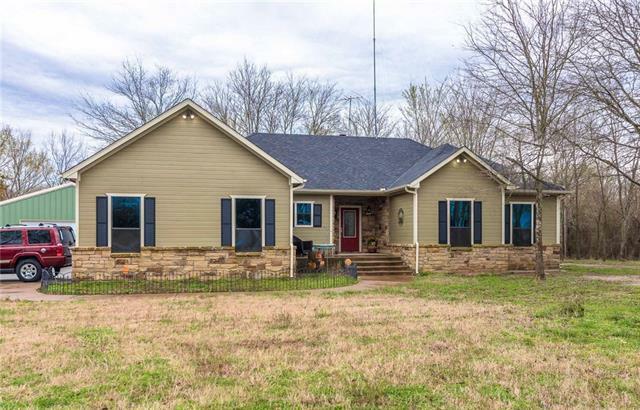 "Super spacious 4 bedroom, three & a half bath, two carport Two story home with stone accent on front, brick & frame construction all on 4+ acres! Large master suite with nice bathroom.Living room with WBFP. Kitchen has adjoining dining room that has exterior door to patio. Upstairs is three bedrooms & two full bathrooms. Half bath is off the utility room. Workshop with fenced yard. Pond is great for watering animals. Gated entry, chain link fenced back yard, perimeter fenced acreage. 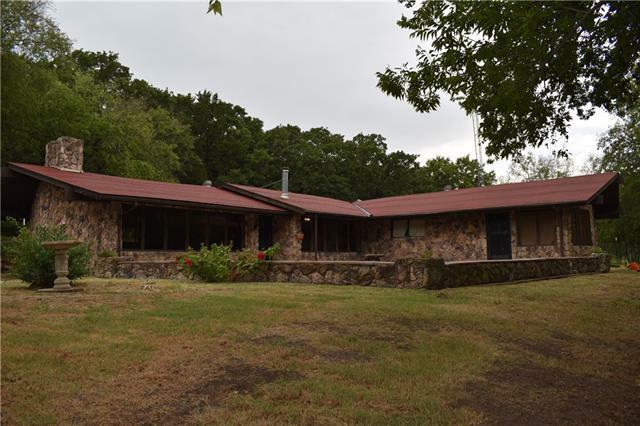 Great garde"
"Beautiful completely remodeled home on 6+ acres. 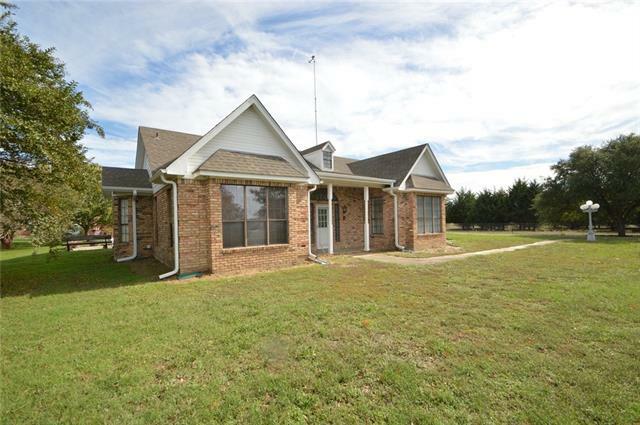 Perfect home for a growing family looking for a quiet country setting." 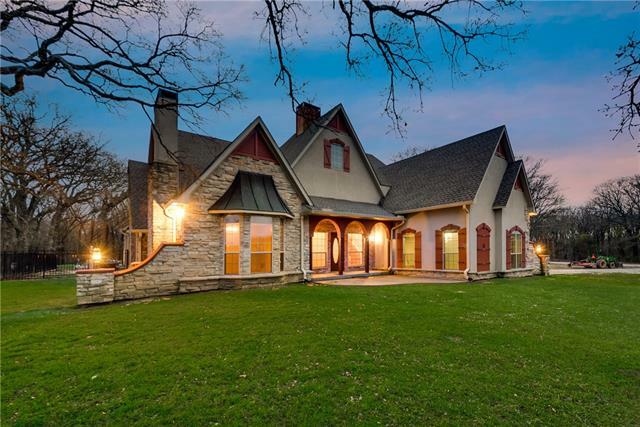 "Unique home with 3,000+ sq ft of living space sitting on over 3 acres of wooded land. There is an abundance of windows that let you enjoy the beauty of nature that surrounds this home. The extended outdoor patio is a perfect space for entertaining. Enjoy the large living area with vaulted ceilings and stone WBFP. The bedrooms are oversized and offer plenty of storage space. The master suite is separate from the additional bedrooms and offers a lot of privacy. There is also a 1-1 guesthouse that "
"HOME NEEDS REPAIRS. PLEASE SEE INSPECTION REPORT IN DOCUMENTS. BRING ALL OFFERS. Cute home mostly surrounded by deck with three covered porches sitting on over 5 acres. Open concept kitchen and living with views over large private pond with viewing deck. WBFP, vaulted ceilings, dining area and second living space with wetbar, 2 in wood blinds. Granite kitchen and bath counters. Master has see through fireplace and private entrance. Jetted tubs in both baths. Detached garage can be finished "
"Waterfront home with great lake access and views! This 2-2 adorable home has large living & Dining combo, open floor plan, modern kitchen cabinets, huge island with storage, sunroom across back of home, wood burning fireplace with gas log & start, and unbelievable views from the master bedroom. 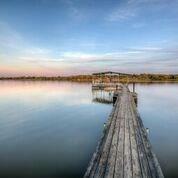 This home has all the lakefront amenities you would want for full time home or vacation home! There is a 36x14 workshop with electric. At the water you have a covered boat slip and area to fish. Come"
"WATER FRONT HOUSE, TURN KEY & MOVE IN READY! One Story, 2 Bedroom only 1 hour to Dallas! The .84 acres includes .28 deeded & estimated .56 SRA EXCLUSIVE lease back, all fenced in! Huge deck, campfire pit, play ground set & above ground pool included! Tree Grove provides shade and fruit. 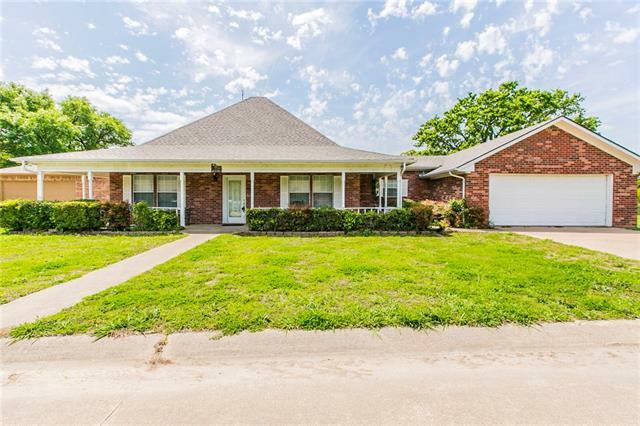 This Home features crown molding, open floor plan, large rooms, granite countertops, maple cabinets, jacuzzi tub, custom walk in closet & no carpet. Two car tandem garage for storing boats, jet skis, canoes, et"